One of the more annoying things about Hilton’s loyalty program is that they no longer publish an award chart. This means they can adjust the award price as much as they like whenever they want. Obviously that’s handy for the hotel, but not so much for you and me. 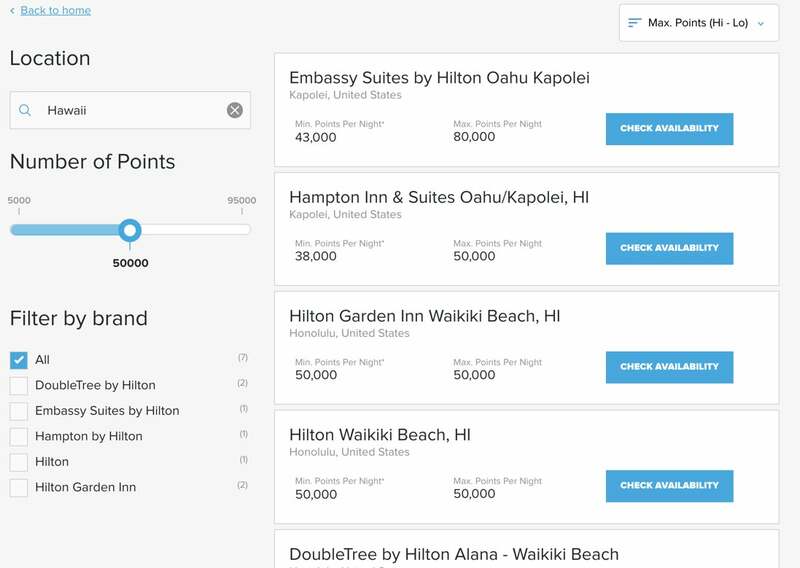 Now Hilton has introduced the “Points Explorer” tool, which looks like it could be helpful. I’m all about paying fewer Hilton points for a free night, but I’m not sure how much of a time saver it is compared to just searching for award nights on Hilton’s website. Basically, Hilton is admitting that the Points Explorer won’t always be accurate. So it’s better to think of it as a guideline. Nick, from Frequent Miler, did a few simple searches and found award prices at one hotel that were 25,000 points less than the lowest price listed by the Points Maximizer! It’s interesting that it’s a crowd sourced award chart, which in theory should make it more practical since it only displays prices of actual award bookings. But at the end of the day, it doesn’t matter what someone else booked an award for. It only matters what you end up paying. And if you can find potentially cheaper prices just by searching Hilton’s website, then why bother with the extra step of using the Points Explorer? If you want to play around with the Points Explorer yourself, you can check it out here. Is there something I’m missing or is this actually as useless as it seems?